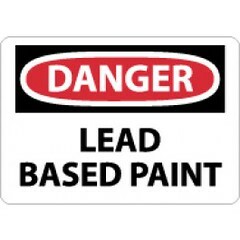 Many houses and apartments built before 1978 have paint that contains high levels of lead (called lead-based paint). Lead from paint, chips, and dust can pose serious health hazards if not taken care of properly. LANDLORDS have to disclose known information on lead-based paint and lead-based paint hazards before leases take effect. Leases must include a disclosure about lead-based paint. SELLERS have to disclose known information on lead-based paint and lead-based paint hazards before selling a house. Sales contracts must include a disclosure about lead-based paint. Buyers have up to 10 days to check for lead. RENOVATORS disturbing more than 2 square feet of painted surfaces have to give you this pamphlet before starting work. The National Lead Information Center – Call 1-800-424-LEAD (424-5323) to learn how to protect children from lead poisoning and for other information on lead hazards. To access lead information via the web, visit http://www.epa.gov/lead and http://www.hud.gov/offices/lead/. EPA’s Safe Drinking Water Hotline – Call 1-800-426-4791 for information about lead in drinking water. To request information on lead in consumer products, or to report an unsafe consumer product or a product-related injury call 1-800-638-2772, or visit CPSC’s Web site at: http://www.cpsc.gov. Some cities, states, and tribes have their own rules for lead-based paint activities. Check with your local agency to see which laws apply to you. Most agencies can also provide information on finding a lead abatement firm in your area, and on possible sources of financial aid for reducing lead hazards. Receive up-to-date address and phone information for your local contacts on the Internet at http://www.epa.gov/lead or contact the National Lead Information Center at 1-800-424-LEAD. Posted on December 20, 2012, in Real Estate and tagged 1978, Buy a Home, Buyer, EPA, Fort Myers, Health and Environmental Agencies, Kristen Pell, Landlord, Lead-Based Paint, Owner, Property Guiding, Real Estate Biz, Realtor, Renovator, Renter, Seller, SWFL Real Estate, The National Lead Information Center. Bookmark the permalink. Leave a comment.